Stop assuming. Stop judging. Start listening. 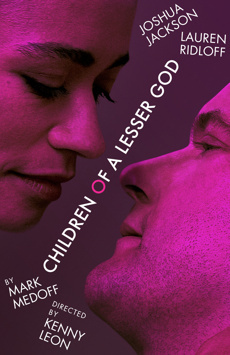 Experience the emotional fireworks that New York Magazine calls “intense, primal, and show-stopping.” Children of a Lesser God has arrived on Broadway in a breathtaking new production starring Joshua Jackson (The Affair, Fringe), Lauren Ridloff (Wonderstruck), and Anthony Edwards (ER). 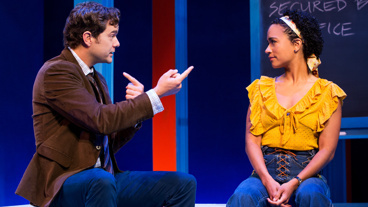 This Tony-winning Best Play tells the story of an unconventional teacher at a school for the deaf and the remarkable woman he meets there. Children of a Lesser God. “It’s easy to understand why it means so very much to so many people” (Chicago Tribune).